Death of Lord Krishna, Do you know the Death Place, Time and Age of Shri Krishna and story behind His Golok Prasthan. Lord Krishna the complete God, came on earth for teaching us , the way to live our life. The teachings of Him is the most valuable assets for the mankind until the last day of lives. Death of Lord Krishna was a saddest moment for the earth but as he was in Man or Mortal form some day he has to Go Back to his divine place. Shri Krishna Neejdham Prasthan Leela was one of the Leelas , the Lord showed us during his presence on earth. However his Presence in the form of Bhagwat Geeta , His Stories and teachings will remain with us for ever. Today you will get to know the death place , death date and time of the lord Krishana. How Lord Krishna Died ? Every event makes someone the medium , so the death of Krishna. The "Hunter" , is the medium as the time. The name of that Hunter was Jara. One day Krishna was in meditation at the shelter of a tree near Somnath. Somanth is the first Jyotirlinga among 12 jyotirlinga places in India. Krishna the God, has many divine signs on his body . There was the sign of Glow at the feet of Krishna since his birth. Krishana lying in such a way that his left feet with glow was visible from the distance. A "Hunter" was in search for his target was wondering near the forest , suddenly he saw some glow at the tree. He thought it is an eye of Deer , the hunter pulls his arrow at the glow. The arrow get to the left feet of Krishna, that the result in Death of Him. There is a story related to the event and its connection is with the Treeta Yuga. At taht time Ram was friend of Sugriva , brother but the rival of Vali. Rama killed Vali at that time. The Hunter "Jara" was "Bali" in his previous birth. Shri Krishna was in the form of "Ram" in his previous birth in Treetayuga , at that time Ram Killed Vali by hiding self under the tree. Ram told Vali, in the next birth , you will kill me in the same way I killed You. The style of death of Lord Krishna was same as of Vali and this time Rama or Krishna was killed by Vali or Jara . Lord Krishna was sitting in the shelter of "Kadamb" tree and the place is known as Bhal Ka Teerth (भालका तीर्थ) , where he took his last breath on earth. Bhal Ka Teerth is a place that is only 4 kilometers away from the Somnath. The temple is having the Idol of Krishna in the same "Gesture and Posture" , as he was laying when the Bheel or Hunter hit his feet with arrow. The tree of Kadamb is still there , with the age of more than 5000 years. Fortunately, The exact date and time of lord Krishana death is known. Lord Krishna took his last breath at after noon . It was 1st day of Shukla Paksha of Chaitra Month , in the year 3102 B.C. 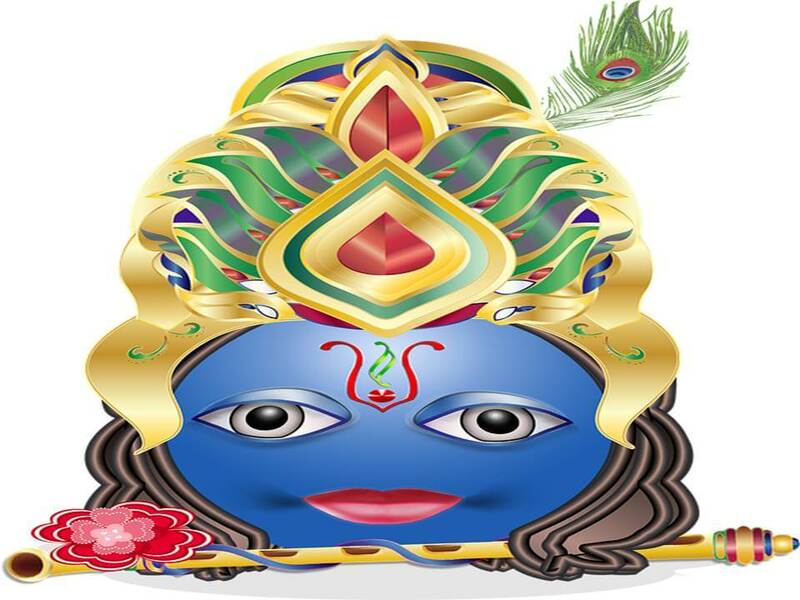 The date was 18 February , and time was 2:27:30 when lord Krishna went to his own place. Shri Krishna was 125 years old at the time of his death, the death of Krishna was the sign of end of Duapar Yuga. The world done by Krishna in only 125 years age was more than his life span. Lord Krishna has gone back to his place more than five thousand years ago but his presence is felt by everyone even today. His teachings of action and love will be with the mankind until its end. Every one can gets direction of life after reading his teachings in Shrimad Bhagwat Geeta. If you like this article please share. Thanks for Visiting our Blog DigitalSafalta.